On Friday, the Baltimore Ravens made the first addition to the biggest position of need this offseason: wide receiver. Baltimore scooped up the recently released Seth Roberts, the former Raiders wide receiver. Roberts was cut by the Raiders on Thursday after Oakland signed Ryan Grant, the receiver Baltimore almost signed last offseason. The monetary details of Robert’s contract remain unknown at the present, but ESPN’s Adam Schefter reports that Roberts will be under contract in Baltimore for one year. Roberts, now 28, signed with the Raiders as an undrafted free agent in 2014. Since then, he has consistently produced decent numbers. In five years with the Raiders, Roberts caught 158 passes for 1,826 yards. Last year was his best statistical year, as he caught 45 passes for 494 yards. While the decision to add Roberts is smart for the Ravens, it only puts a bandaid on a deep wound. Baltimore’s wide receiver corps is still missing a true number one option. Roberts will make an excellent addition to the positional group, but will not be the primary receiver. The Ravens will likely add a wide receiver in the early rounds of the NFL Draft. This would elevate the group to a new level. A potential number one wide receiver, paired with veterans in Willie Snead and Seth Roberts, and a young Chris Moore, would give Lamar Jackson plenty of targets to work with in his sophomore season. The Ravens may not be done with free agent additions today either. Earlier, it was reported that the Baltimore Ravens met with and worked out Eddie Lacy. Lacy, the former Green Bay Packers and Seattle Seahawks running back fell out of the league after he failed to keep his weight down. Despite this, Baltimore may see him as an opportunity to improve the backfield, already filled with powerful downhill runners. 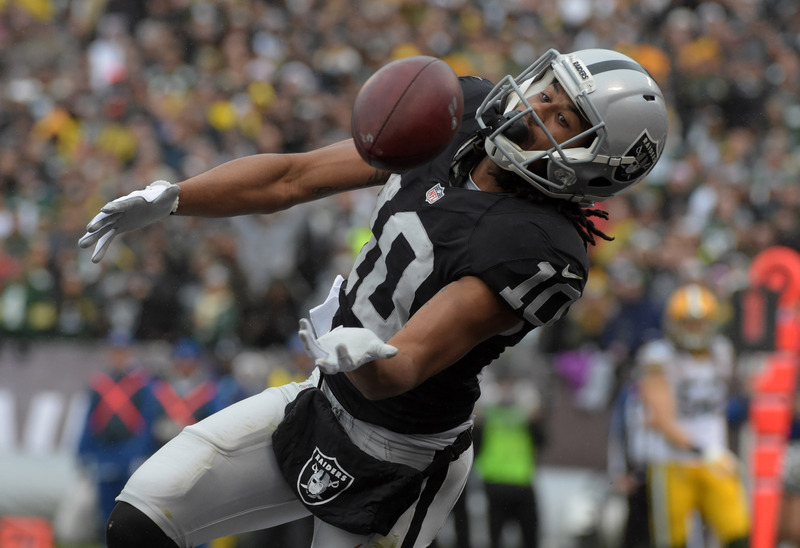 Ravens are signing former Raiders' WR Seth Roberts to a one-year deal, per source.